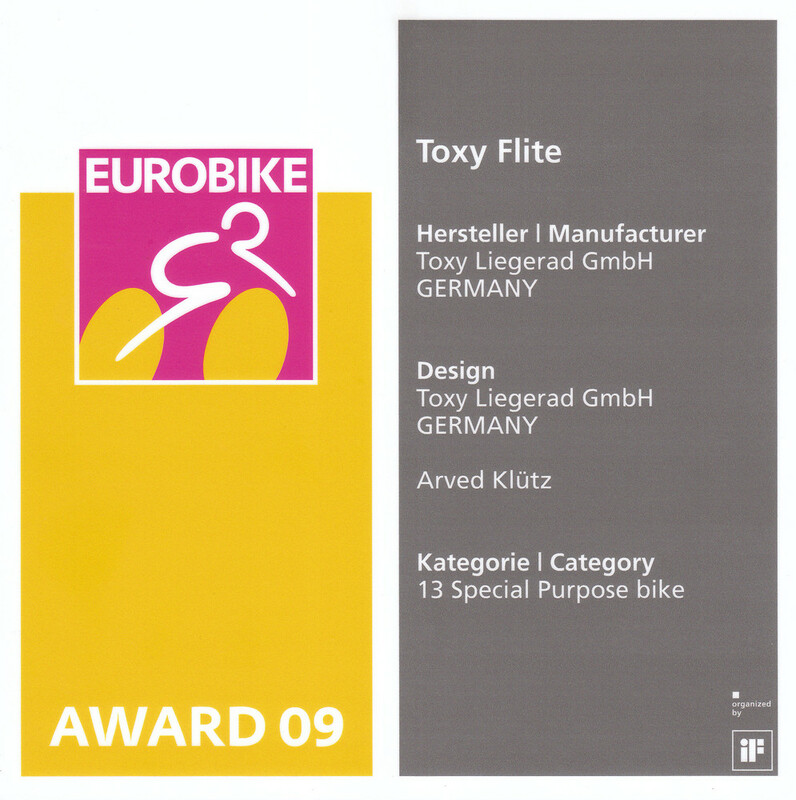 Toxy Liegerad GmbH - TOXY FLITE - Easy Glider. TOXY-FLITE - Take it with you wherever you like. 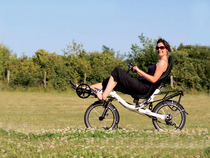 A sensational compact recumbent with deep entry, that´s what we were about to design. Only 5´1" wide and absolutely easy to handle: Easy boarding, comfortable cycling and travelling, relaxed arrival. And here it is: The new Toxy Flite. Take it with you wherever you like. Take your seat with a smile and just feel comfortable! That's quite easy with the deep entry frame design with a boarding hight of less than 20" in combination with the new individually adjustable and front swinging steerer. Resting on the comfortable ergonomic seat you will travel and commute extremely relaxed and have a perfect overview even in traffic. You will discover your sprinting abilities, since the Flite´s compact, rigid frame and the efficient pedalling position will be your temptation. Perfect. 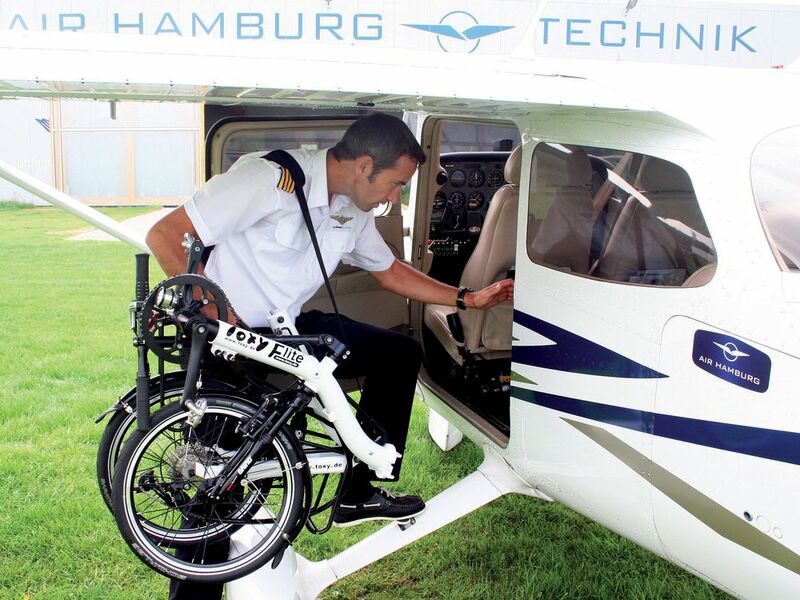 That´s what we could have been pleased with our new bike, after journalists´ testrides on our prototypes. They were excited. But was there anything to develop even smarter? 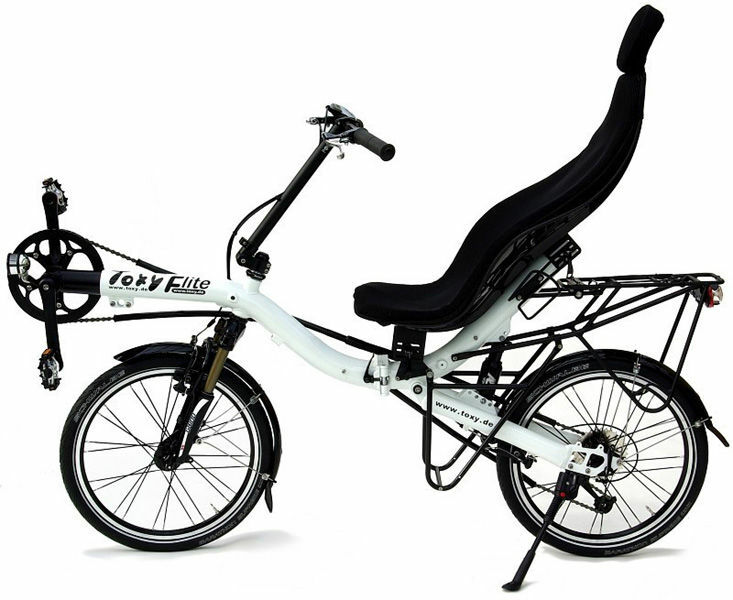 So we developed the Flite folding frame with the dreamlike packing size of 79-39-79cm (32-16-32" only), which is, as far as we know the smallest of any serially produced recumbent bike. The relaxed, comfortable seating position, combined with the easy boarding frame and easiest all over handling will inspire you every time you ride your Flite. 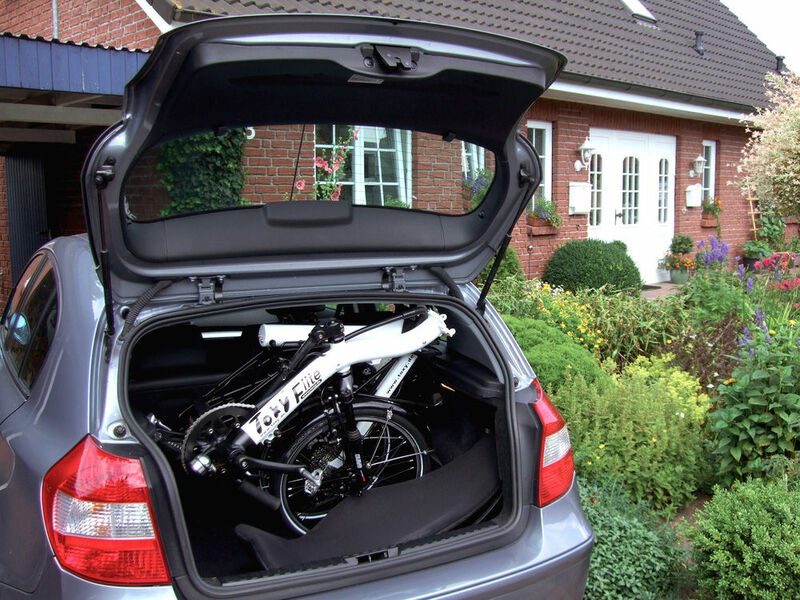 Imagine travelling by rail or plane, in any case, where storage space is rare and expensive, you can easily take your foldable Toxy recumbent with you. 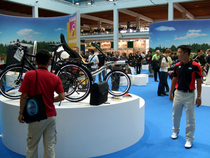 And at the point of destination it enfolds its perfect riding and travelling qualities within seconds. 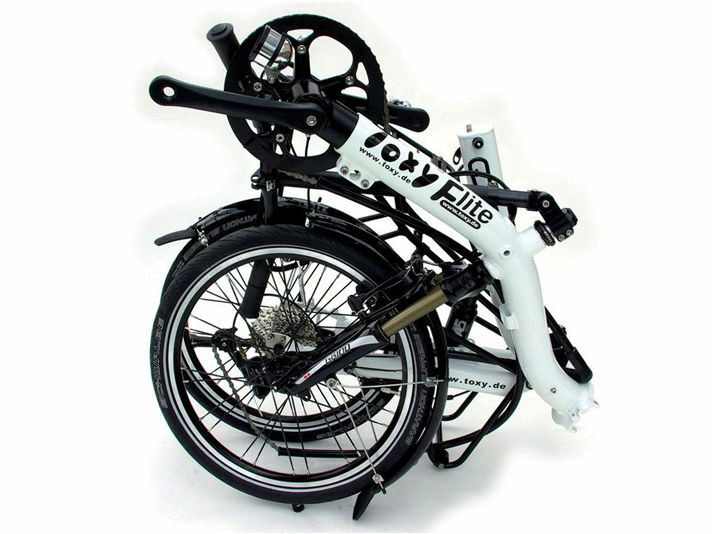 All Toxies are assembled personally, due to your individual needs and preferences. 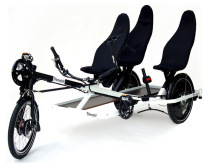 Light weight marathon racing or daily commuting are only few of the aspects of the wide range of assembly options, you can choose from. 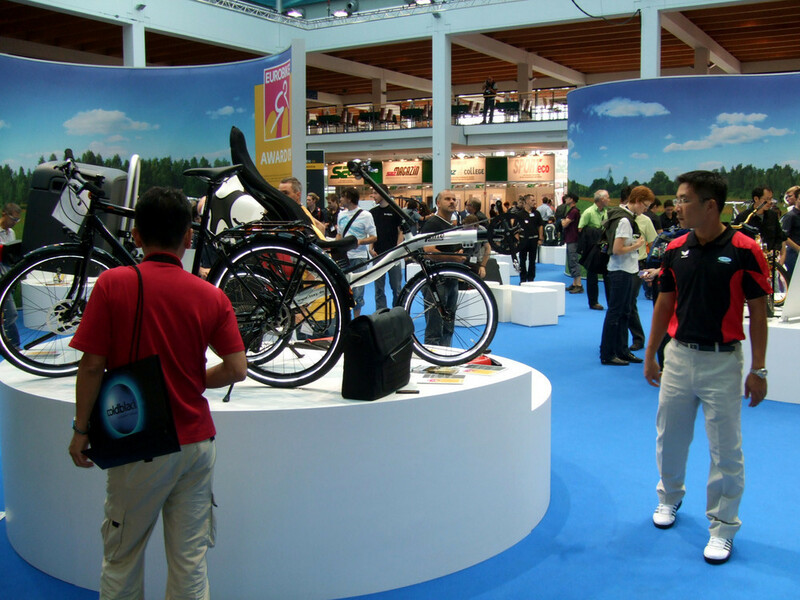 We will be pleased to receive your order and build your perfect bike! No longer renounce highest comfort. Just choose first class at all your rides! 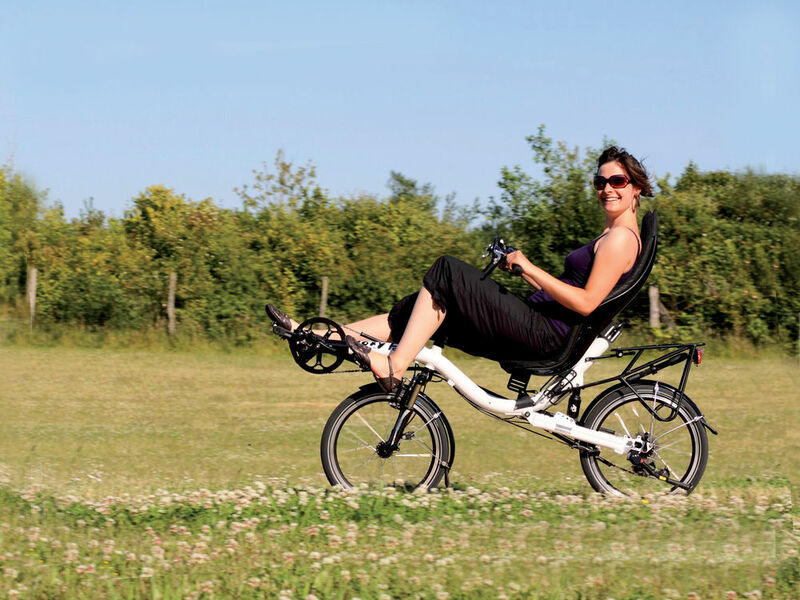 With your Toxy folding recumbent you will no longer have to decide between the well known comfort of a Toxy recumbent and the practical options of a folding bike. The new foldable Toxies offer perfect riding comfort. And with its simple and quick folding procedure and handling and the smallest folding dimension it is ready to carry within seconds at the central positioned stem. 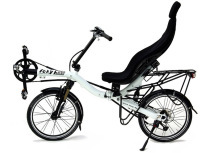 Only remove the seat, push the crank boom into the main frame, release the folding stem and swing it close to the front wheel. Then fold the main frame at it´s link and optionally release the pedals. That´s it. All with quick release levers. And forget about the chain & wires. They will follow the folding process automatically. P.s. 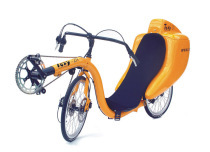 : The successful Toxy-LT will also be available with a folding frame in spring 2009. Also with the nice low steerer, which can be removed with a few screw turns only. Toxy Flite Falt-Liegerad - überall dabei. Das Toxy Flite Falt-Liegerad - passt in jeden Kofferraum.